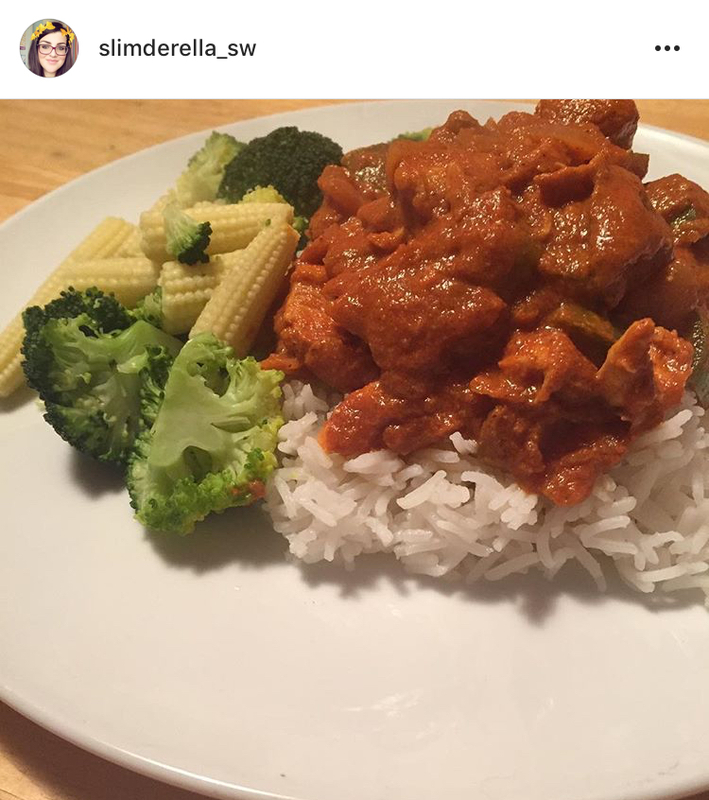 Attempted this beautiful Syn free Butter chicken recipe last night and it was absolutely delicious! We put together a little fakeaway with some Slimming World chips too! Yum! I suggest marinading the Chicken for 48 hours but this can work for a few hours or overnight. But the longer you can allow the chicken to marinade the better. Dice the chicken into bite sized pieces. In a medium mixing bowl, mix together all of the marinade ingredients. Toss in your chicken, cover and store in the fridge. Place a non stick pan over medium heat and spritz with Frylight. Add Onion, Green Chilli, Garlic and Ginger. Cook until softened. Add the rest of the spices and Tomato Puree and simmer for 5 minutes. Add the chicken, marinade and stock. 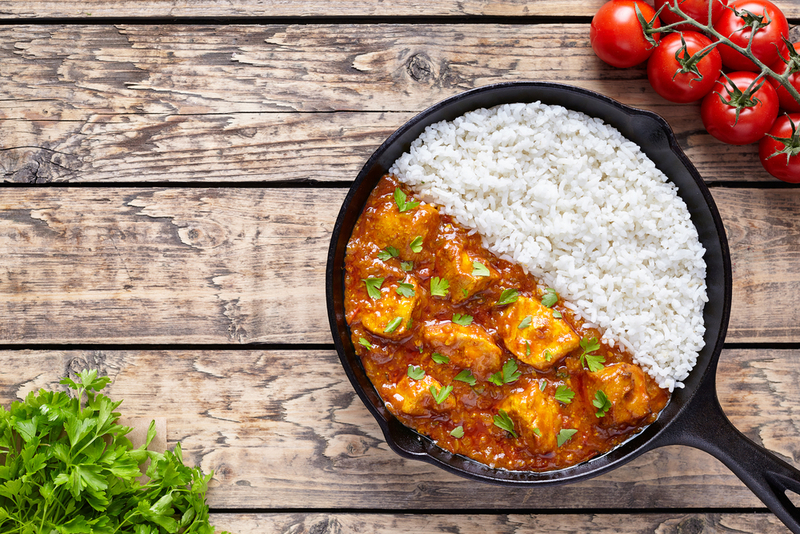 Simmer on a medium heat for 15 – 20 minutes, ensuring the chicken is cooked through and the sauce has thickened.